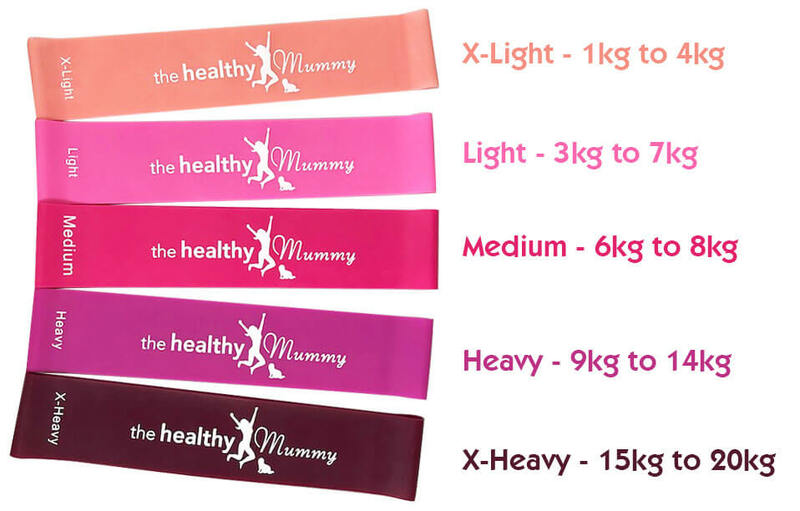 Strengthen and tone your body with our NEW PINK Healthy Mummy Resistance Bands. Our 5 pack of resistance bands in various resistance levels are portable, easy to use and excellent for working out and stretching anytime and anywhere. 5 resistance bands, each with different levels of resistance. The X-Light and Lights bands are quite thin for their level of resistance, they shouldn’t be stretched more than 2 times their length, as this could cause the bands to snap. Bands shouldn’t be looped around any sharp surfaces.